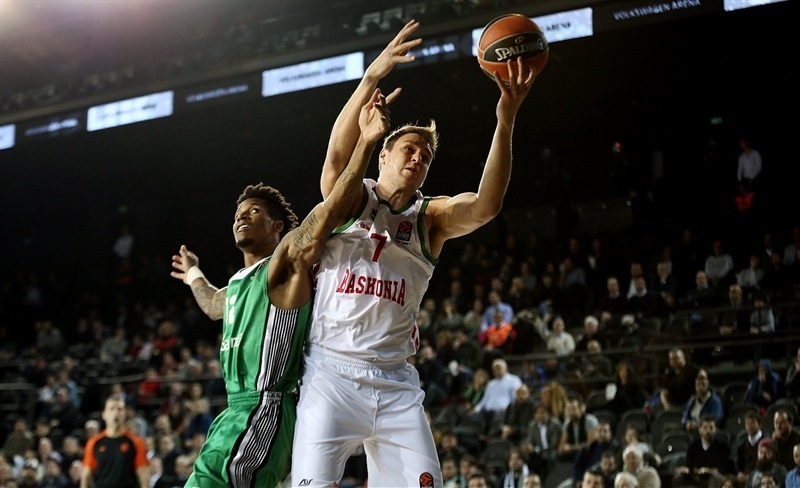 Darussafaka Dogus Istanbul recorded the best three-point shooting mark in club history to beat visiting Baskonia Vitoria Gasteiz 98-89 on Thursday night at Volkswagen Arena. 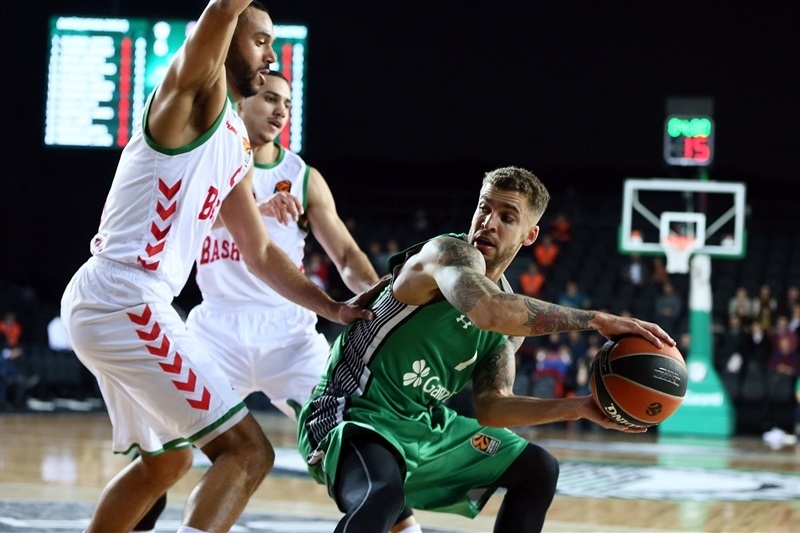 Scottie Wilbekin and Brad Wanamaker were each 4 for 4 from downtown and Dairis Bertans made 3 of 4 as the team tied a club record with 14 triples and shot them at the highest rate (63.6%) in club history. 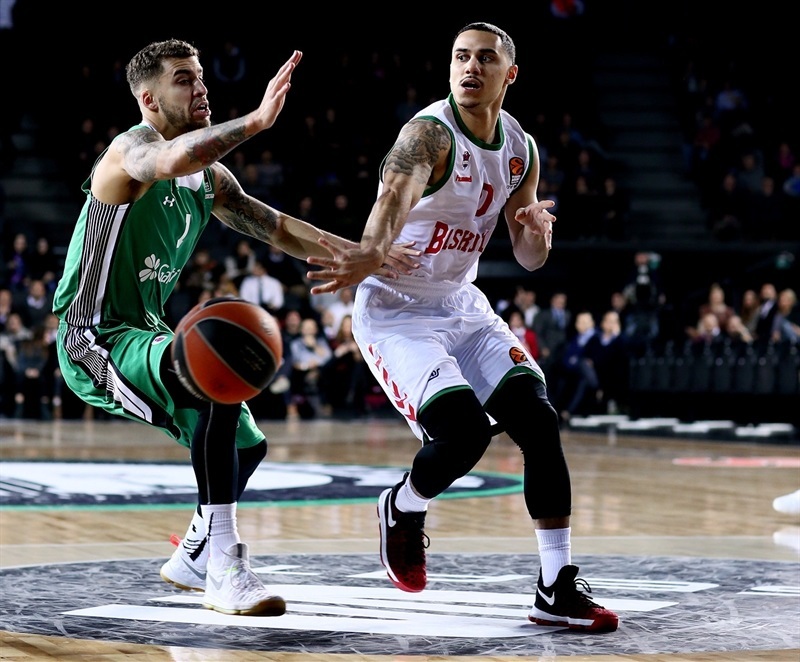 The victory was Darussfaka’s third in a row at home and boosted its record to 9-8, while Baskonia fell to 11-6. Bertans set a career-high with 29 points – almost doubling his previous best of 15 – and dished 5 assists off the bench to lead the winners. Wanamaker added 21 points, Wilbekin scored 17, Adrien Moerman posted 15 points and 9 rebounds and Will Clyburn had 14 and 9. 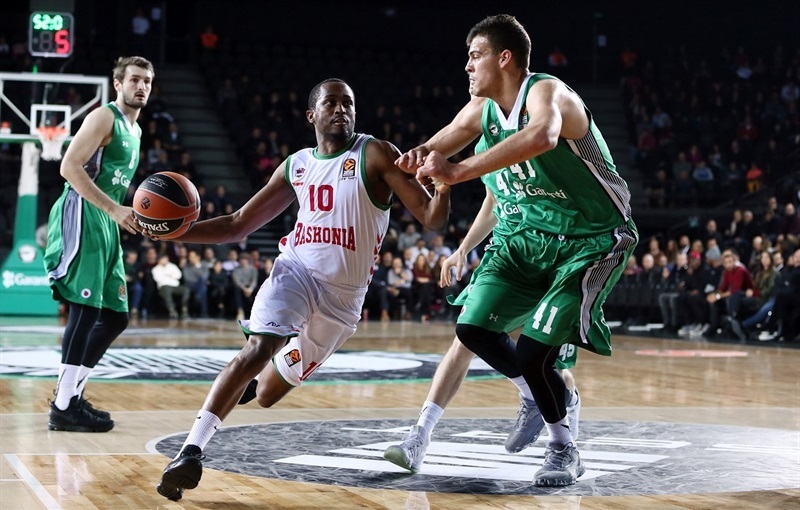 Adam Hanga led six Baskonia scorers in double figures with 19 points. 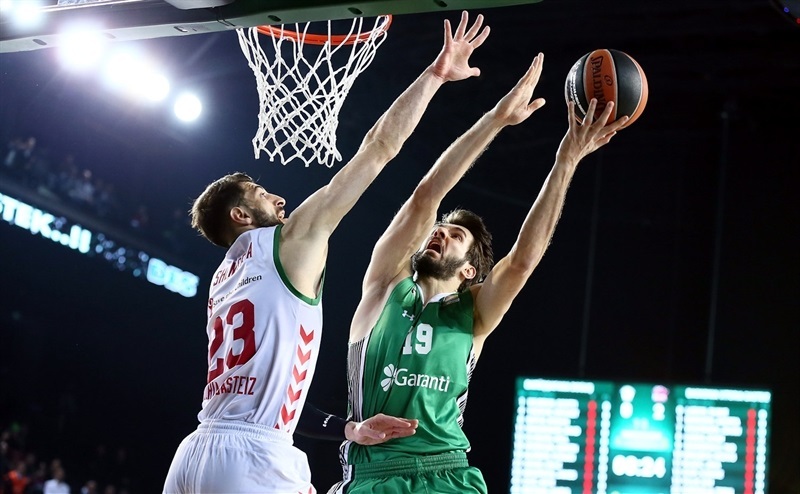 Toko Shengelia scored 13, Chase Budinger 12 and Shane Larkin, Kim Tillie and Johannes Voigtmann netted 10 points each. Larkin also dished 9 assists and Voigtmann collected 8 rebounds. 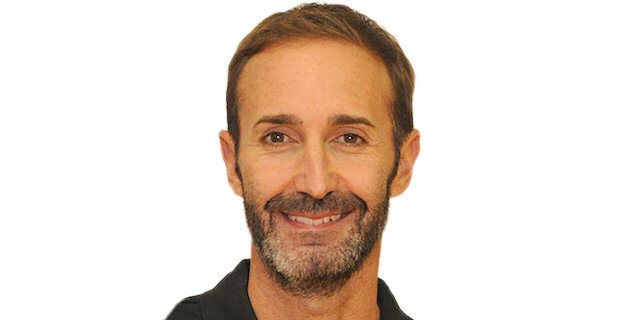 Basknonia started strong as Budinger made a pair of layups and Hanga drilled the game’s first three before Shengelia gave the visitors a double-digit lead, 6-17. 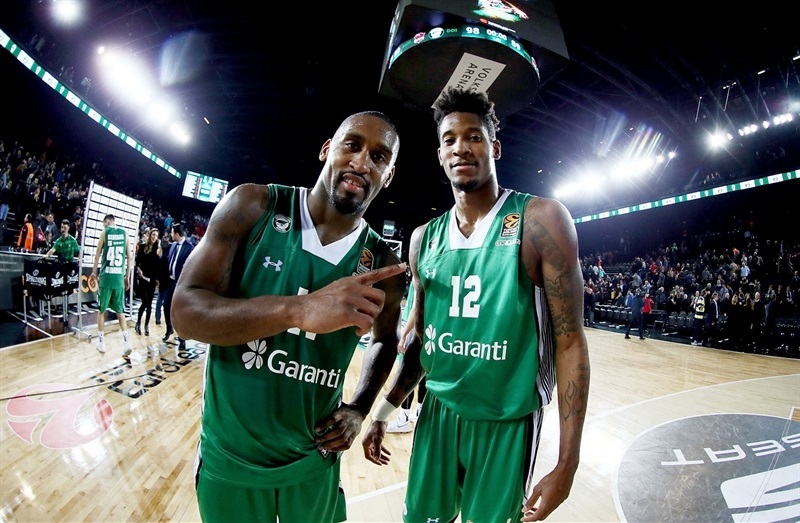 Wanamaker scored 5 in a 7-0 push as Darussafaka came right back. Bertans converted a four-point play to keep the hosts close and after Rod Beaubois and Wilbekin traded triples, the first quarter ended at 20-24. 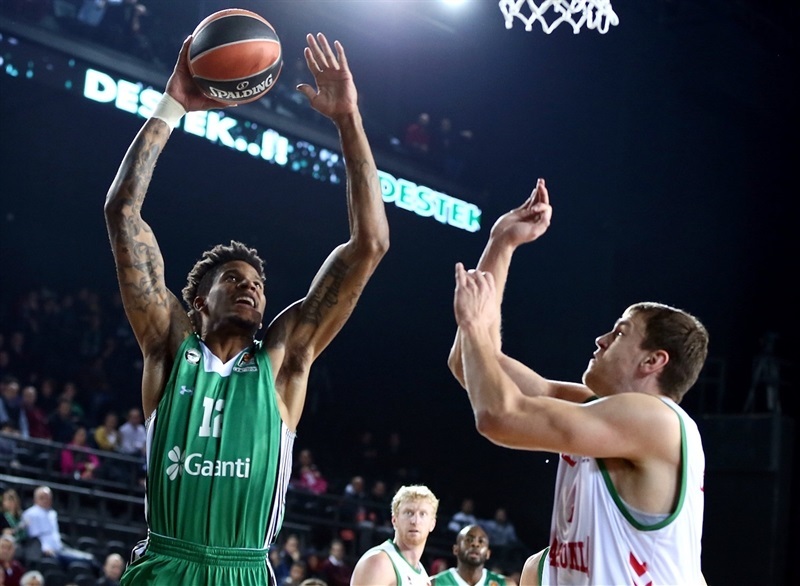 Darussafaka kept the momentum going, tied the game at 24-24 with a Bertans slam and took the lead on a Wilbekin free throw. Hanga twice connected from downtown to narrow the gap to 1, but Wilbekin answered for the hosts. Voigtmann hit a three from the corner to briefly give Baskonia the lead, 36-37, but Wanamaker answered from downtown on the ensuing play. Threes by Moerman and Wanamaker extended the difference to 45-39, but the visitors made a late push and a Beaubois triple closed the gap to 47-46 at halftime. Larkin fed Ilimane Diop for an alley-oop slam and a 48-49 lead, but Wilbekin hit back with a pair of deep threes. Budinger and Moerman traded three as the hosts remained in front. 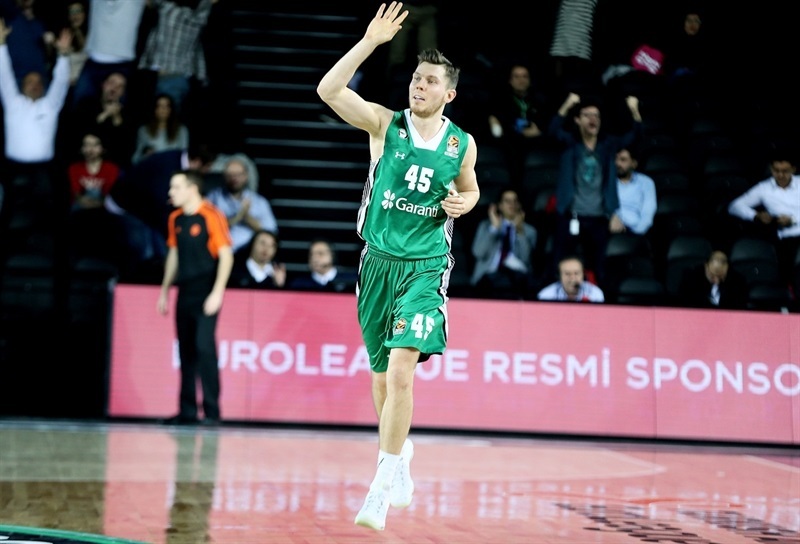 The Darussafaka lead hit 8 after Bertans’s second three. And Wanamaker’s fourth triple made it 77-68 through three quarters. 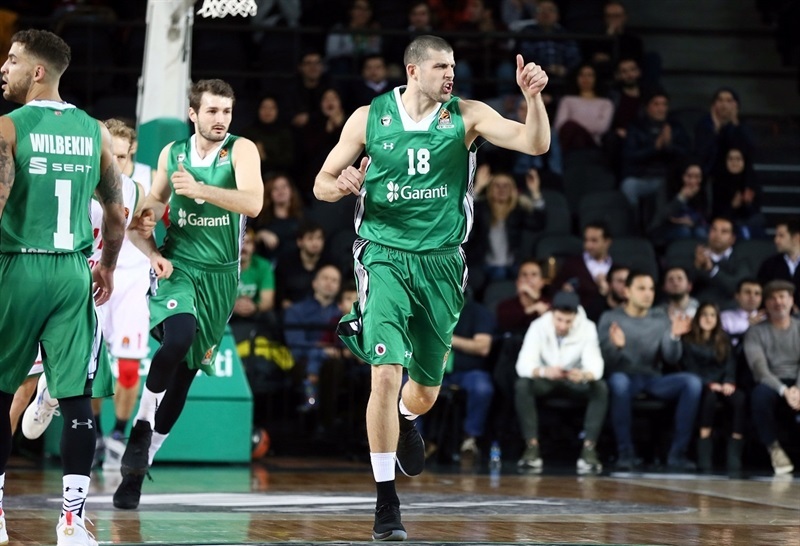 Free throws by Bertans gave Darussafaka its first double-digit lead, 84-73, four minutes into the fourth quarter. 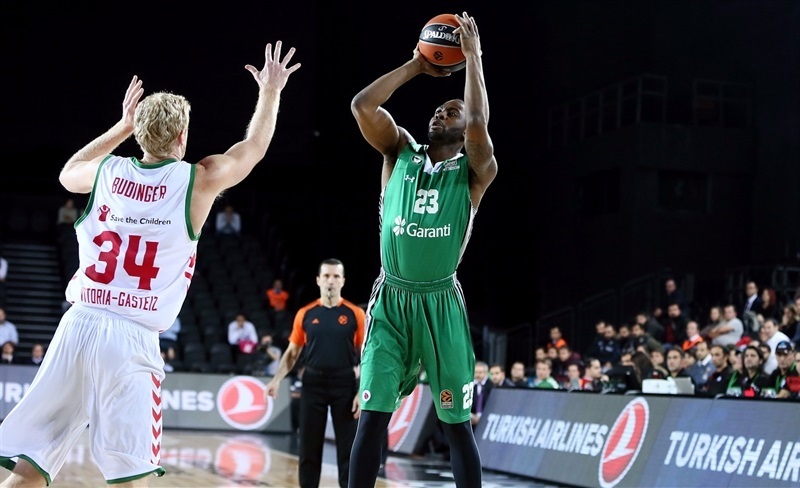 Clyburn boosted the difference to 14 with a put-back as time began to run out on Baskonia. 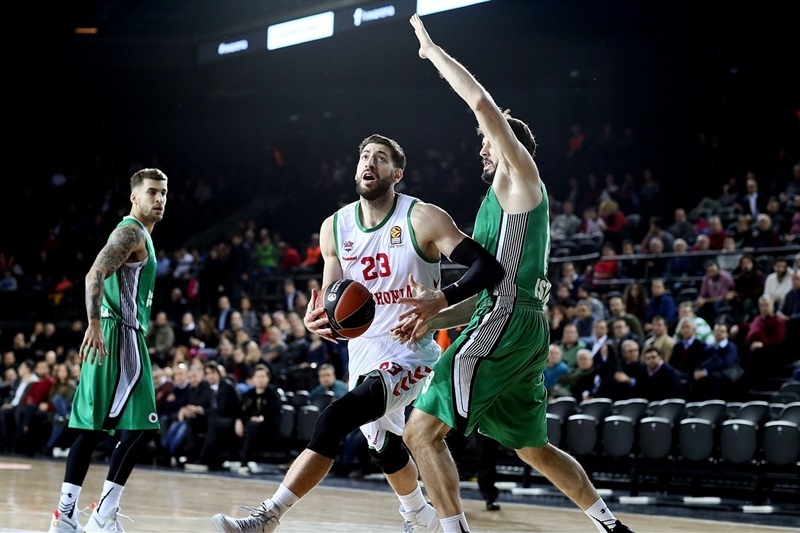 And a Bertans triple with three minutes left made it 95-80 and all but clinched the victory. "The last time we played them, we played a nine o’clock game, which is 11 o’clock our time, and we really struggled. We had 52 points. We almost had 52 at the half today and of course we finished with 98. If you want to beat a team like this that has all that talent and all that scoring ability and can run the ball, you really have to score the ball and we did that today. We played right. You should generally shoot about two-thirds of your shots from two and one-third of your shots from three and today we probably did that. It was a big focus; one of our keys was to get the ball in the paint; we probably had 55 paint touches today and that makes a big difference. 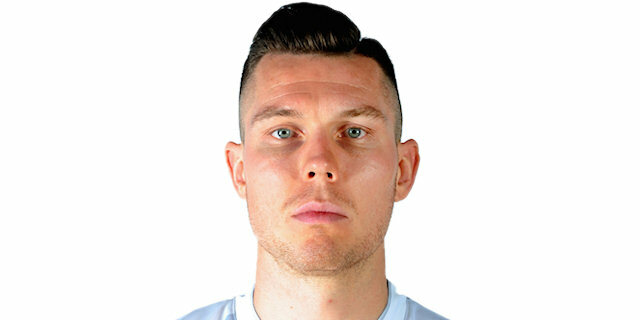 I think that Dacka is for real and we’ve shown that. We just gotta be consistent and we gotta find a way to win as many games as we can. And fight and see if we can make the playoffs, which would be a great accomplishment for this team. But there’s a long way to go. " 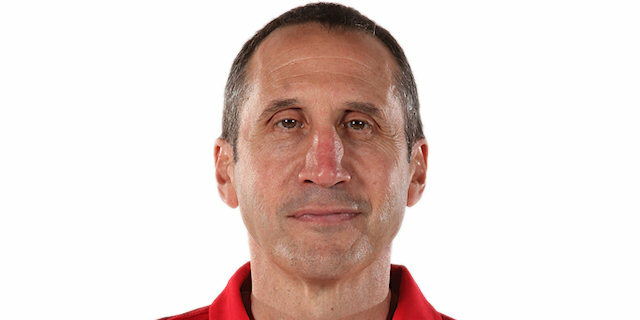 "Even after we had an advantage on the [big men], when they missed because we defended well for two, three minutes in the last part of the game, they took the offensive rebounds because it’s not easy for our defenders to box out when they are coming from the three-point line. And we didn’t handle well their perimeter players in this job. In the last three minutes we thought about the [tiebreaker] because in our home we beat them by 21 points and we tried to save at least this situation. Even in the last minute when we were 10 points under, we tried to push them to get the [win], but it was impossible." "I’m happy we got the win, that’s was really important, especially after we lost the game in Baskonia; they destroyed us. So we wanted to come out strong. About my game, I started strong with energy and kind of got it going, so I just kept doing what I do. It’s good that we win against the top teams, but we also have to win against the bottom teams. Hopefully we will play like this against everybody and keep going up in the standings."